Staying hydrated is probably one of the most important factors in how your skin will behaves during winter or at any other time for that matter. Because our bodies are made up of 60% water, we need to maintain a certain level of it to ensure all organs are functioning properly which in turn affects our skin and how it looks. Central heating, hot water and air-conditioning in winter months can all be harsh on our skin and it may not look it’s best during winter as a result. 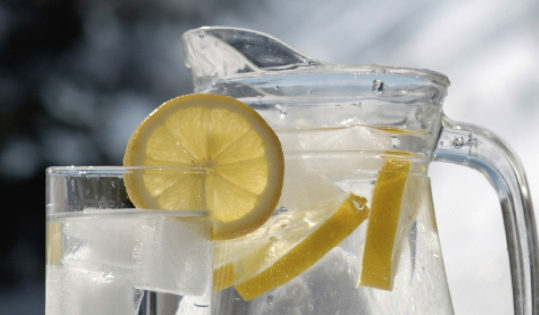 I find it easier to drink more water in winter, hot water and lemon is perfect to drink on a cold winter’s day. I only have one coffee on days that I’m in the office, not on days when I am out at metings or if I’m working from home. Days in the office are usually early morning starts and I need something to get me going, the rest of the time if I’m working from a coffee shop, co-working space or at home, I’ll drink green or jasmine tea which are both great for hydration. Friends of mine have raved about their shiny new water bottles that encourage drinking the right amount of water each day and I’ve linked to a couple below. I have also recently discovered water bottles that contain crystals which some people believe provide other healing properties, I’ve got my eye on one of these from Gem Water – has anyone heard of these or tried them? Who doesn’t love a lovely hot shower to kick start the day or lovely warm bath to relax into after a long day? They’re lovely, but hot water can strip your skin of its natural oils, so the advice is to turn the temperature down a notch during winter. The harsh weather is already stripping our skin just by being outside so we should do all w can to limit this. I’ll be honest, I haven’t quite managed this myself (especially not when it’s freezing outside, what utter madness?!) but towards the end of the shower, I make the water as cool as I can stand and have a final rinse off in cooler water. That’s all I can manage at the moment, but I’m working on it. French women have perfected that, ‘I woke up like this’ effortlessly clear skin look and they sing the praises of micellar water as the reason behind it. They actually avoid using tap water on their face because the water in Paris is very hard. Micellar water hydrates whilst it cleanses and removes make-up at the same time without drying out the skin. You can follow-up with a thermal water spray which has fewer chemicals and impurities than water from the tap and pat dry with clean hands before moisturising. I received the Foreo Luna Go, with my subscription of Porter Magazine. The version I have has a non replaceable battery, so its one use that I’m not overly keen on, but I’ve had it for quite some time and it hasn’t died yet! I just add a blob of my cleanser to it and massage it all over my face it gives a very good clean and a gentle exfoliation. The two products from The Ordinary are ones I purchased when I visited the Covent Garden store a few months ago. The AHA 30% + BHA 2% Peeling Solution is the perfect exfoliating solution for winter weather. It smells quite ‘chemically’ but does the job and doesn’t leave irritated skin after using and I have relatively sensitive skin. The only thing thing I’m not keen on is that this is red and the pipette is not the easiest applicator. The Pixi Glow Tonic is a great toner for a mild peeling product it contains 5% glycolic acid and can be used every day. I adore this oil, because it’s for dehydrated skin it practically had my name on it when I was looking for a face oil. It has helped me to maintain an even skin tone and I have definitely noticed a difference since using this on my face. It’s a night treatment to use in place of your usual night cream and you’ll wake up with skin feeling lovely in the morning. I have also added in a hyaluronic acid from The Ordinary and I use this after toning and before moisturising in the morning and evening. I use L’Occitane Almond Oil in the shower which feels so nice on the skin, it lathers well to clean but the oil formulation leaves my skin feeling supple and moisturised too. 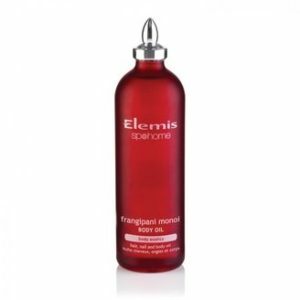 I’m currently using Elemis Frangipani Monoi Body Oil to moisturise after the shower. It smells gorgeous and it reminds me of my best friend who now lives in Australia as she introduced me to this product. You can use this to moisturise your body and as a treatment on nails and hair and my skin feels baby soft afterwards. As you can see, I take this oil moisturising thing seriously, but I really do see the benefits of well moisturised skin, so even if you implement one of these types of moisturisers in your regime, I’m confident you’ll notice difference. One step I added in last year is another one I’m about to repeat this year is the Bobbi Beown Tinted Balm. I wear Medium to Dark and this feels and smells lovely on the skin, gives a proper dewy glow and a light to medium coverage. Try some out at a Bobbi counter and let me know what you think. Eating for that glow from the inside out is probably one of the best options for combating harsh weather during winter. Some well-known foods to eat to help your skin glow this winter are; almonds, which contain vitamin-E to help skin maintain elasticity and youthfulness. Avocados, salmon, any other oily fish or flaxeed oil containing omega-3 oils to help the skin appear more supple and smooth and green leafy vegetables like spinach which contain vitamins and nutrients which make sense to eat to look alive! 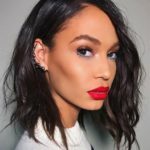 All of these foods taken together are exactly the building blocks you need for glowing skin this Winter. Try to incorporate one or two of the steps above to see your skin get its glorious glow this winter! Do you have any of your own tips to share that I’ve missed? Do share below!